Our fans will fight for three wonderful knives. The main condition is that you have to be subscribed to the social networks of HellRaisers, and to the ones of the organization's partners CSGOSkinny. In two weeks we will randomly chose a winner, who will get the sacred prizes. Read the details of the contest below! 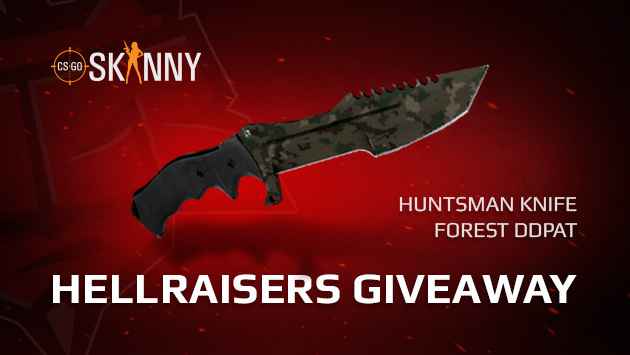 Users of social network VKontakte will be able to compete for Huntsman Knife | Forest DDPAT. 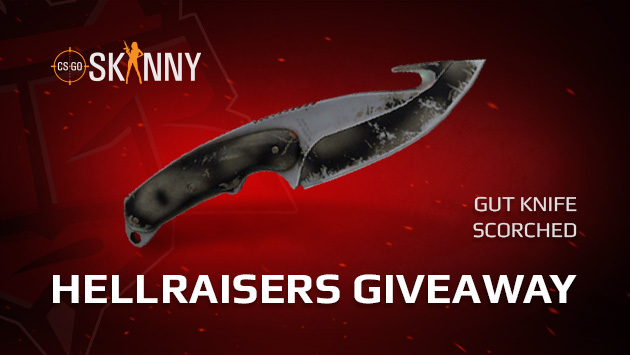 To take part in the giveaway, you need to subscribe to the official group of the team on VKontake, and also to the partners' group CSGOSkinny. Then, you need to like and share this post. Users of social network Facebook will be able to compete for Gut Knife | Scorched. To take part in the giveaway, you need to subscribe to the official group of the team on Facebook, and also to the partners' group CSGOSkinny. Then, you need to like and share this post. Users of social network Twitter will be able to compete for Gut Knife | Ultraviolet. To take part in the giveaway, you need to subscribe to the official page of the team on Twitter, and also to the partners' page CSGOSkinny. Then, you need to like and share this post. Don't forget that if at least one of the conditions is not fulfilled, the winner will be rerolled. So read the rules carefully!